This information is on the ORIGINAL VERSION 1 With PHILLIPS CHIPSET. VERSION 2 uses a Prolific Chipset. USB Serial Box, Converts USB to a serial port to hook up external Serial Devices. This is an Industrial Grade Product using a Philips Chip Set. Make sure that if you purchase someone elses its XP Certified Ours is. This is Microsofts assurance that it tests out and works correctly with everything else. Do not let the Very Low Price Change your mind this is the most compatible unit on the market. 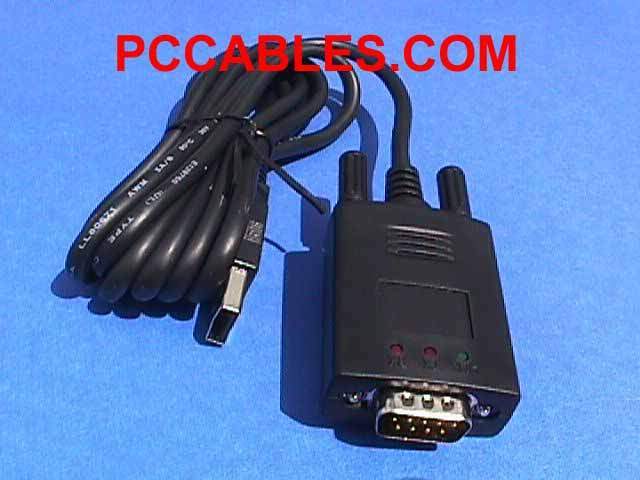 Most USB to Serial Converters do not have this!!!!! Size of Serial Port Head with LEDS on it. Uses the very compatible Philips ChipSet. 1. LINUX: users can select the "mct_u232 driver in drivers/usb/serial". Search for "MCT P87C52UBAA" in kernel source.